But I have not figured out where this picture is taken. The Engine Number is illegible in the picture - but probably 3, 6 or 8 (though another digit would also be possible). If one knew where the JC FD Engines where located from an old address directory, telephone book or similar, it would not be difficult to locate them in this map at Rutgers and determine where the photo was taken. Do you happen to know where the fire stations were located? Do you know which one this is and where the photo was taken? Use the comments functionality below! 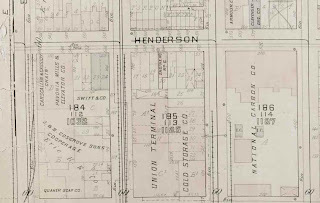 I have added a map of Engine No 6 on Henderson (now Marin), between 14 and 15th that some people in the community think it is - seems to be the best fit so far. Below I have added magnified details of the signs and the relief above the gate. Children - Keep Out - Danger! I believe that this is on 1st St, just west of Coles. The buildings to the left of the firehouse are now the Village Townhomes which wrap around 1st, then Monmouth, and around to Newark where 2nd and Newark intersect. But are you thinking of this, or another building? 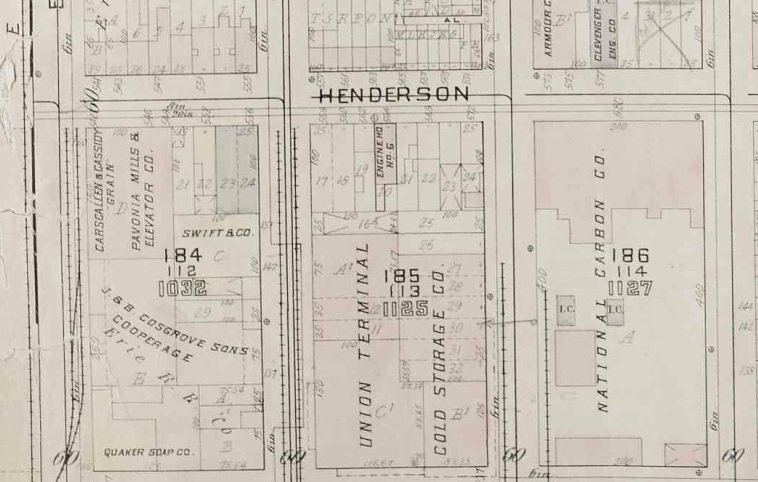 I think it is Engine Co No 6 on Henderson (Marin) between 12th and 13th as seen on this map. Can't find any proof of this, however. But I am also wondering if it's somewhere in the heights as the street in front of the buildings is sloping, and there is more of those in the heights. Eng. 6 moved in with Ladder 2 on 9th St., but I don't know when, they were there in the 60s. Both E-6 & L-2 are now at HQ on Marin Blvd. I remember that area as truck parking, weed & garbage strewn lots & bums, at least back in the 60's. 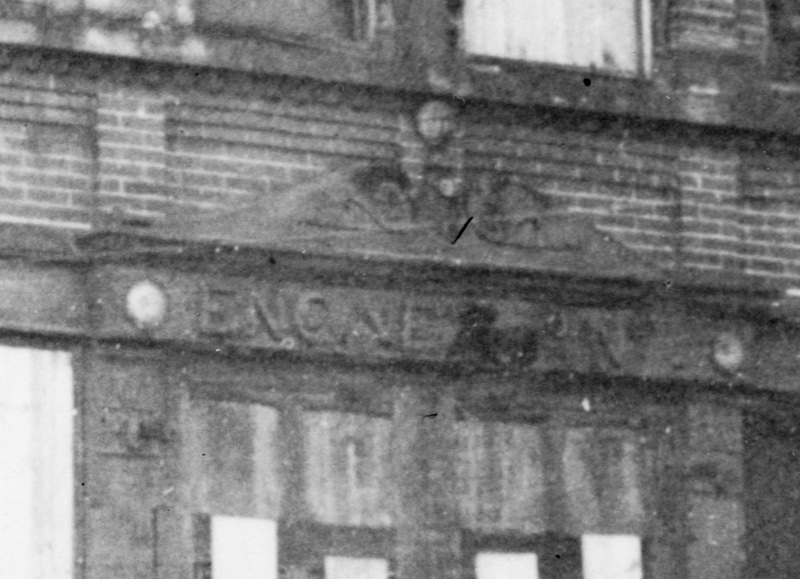 By the way, ENG-3 was on Mercer St, just west of City Hall, and ENG-8 was on Ege Ave between MLK (Jackson Ave.) & Ocean Ave.
Can't tell from the photo, but with better resolution, maybe you could get a address # off 1 of the adjacent buildings, the address of the firehouse was 564 Henderson St. I do recognize the J.Kislak for sale sign on the frame building, they were all over back in those days. My aunt does remember there were wood buildings to the left of #6. I'll ask more family about it. Please do ask, any additional information or pictures would be helpful! Thanks - I will definitely email you! Hello, my aunt says "no" to this being #6. Waiting on my mother's cousin that did live until about 6 years old in the 1940's across the street from #6 for an answer. I located another photo in the 1949 "Master Plan" , with #6 in the distance, and it does not look like the one in your photo. 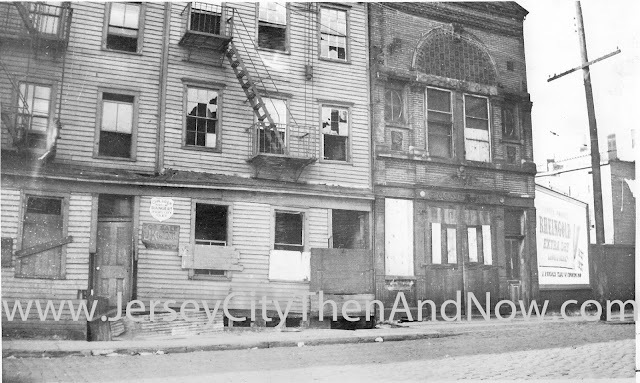 What about the Gong Club off of Grove and Bay Street? I lived on Bay Street most of my early life and it kind of looks like the gong club. I used to hang out there as my sister used to date the brother of one of the members! 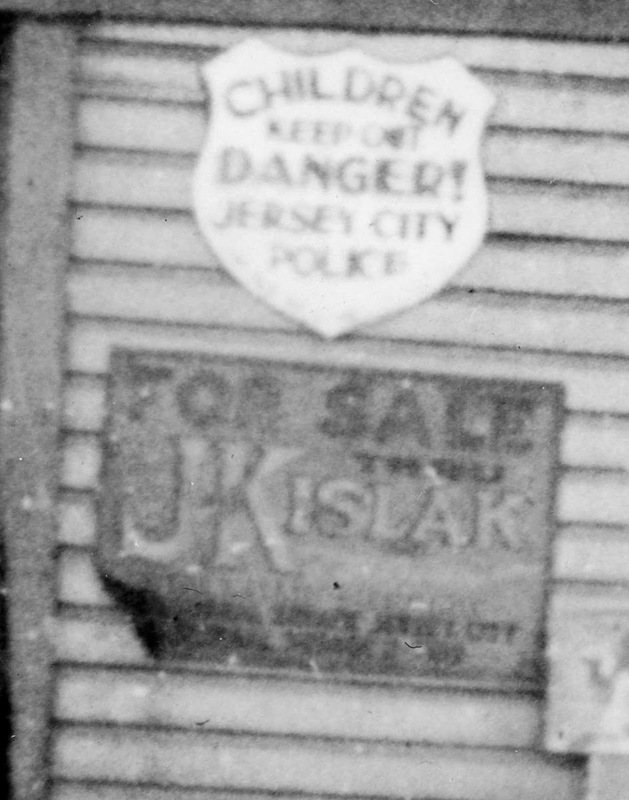 Just guessing, J Kislak is was a Hoboken RE Agent, cobblestone road seems to be a hill, and the bill board, is a clue. I am thinking it is on one of the streets leading into hoboken.